Do you love power? We do too, which is why G5 Feed & Outdoor is an authorized dealer for the powerful machines designed for you to get out there and do more. 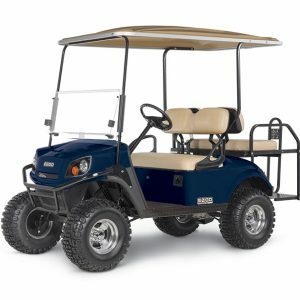 We carry the latest models from renowned manufacturer’s Textron Off Road, EZGO and Cushman. 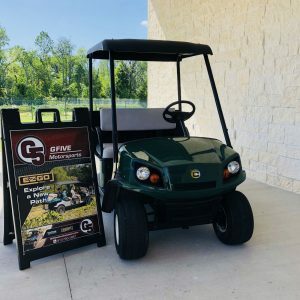 Full lines of ATV’s, Side-by-Sides and Golf Cars in both gas and electric that are designed for the way you live – be it hefty work on your property, punishing a set of dunes, daily neighborhood chores, back-country hunting trips, or leisure-filled weekend family fun. G5 Feed & Outdoor invites you to enjoy the outdoors in a whole new way – without fences and without limits. Welcome to your new outdoor lifestyle! Choose from our selection of new, pre-owned and refurbished units. We’re thrilled to also feature one of the newest off-road manufactures to introduce high performance ATV’s and Side-by-Sides: CFMOTO. Excitement and performance come standard with many features you’ll pay extra for with some other brands. 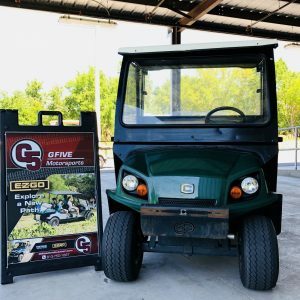 Come check out all that G5’s Motorsports department has to offer with our Recreational Outdoor Vehicles.